In the West, London is the engine for much of Europe’s Islamic economy activity, with several start-ups launched every month in the sought-after segments of modest fashion, premium halal food and halal cosmetics. “Even though you have more Muslims living in Germany and France than you do in the UK, in those countries Muslims are a little bit disenfranchised,” said Haroon Latif, the director of strategic insights at the US research firm Dinar Standard. “In the UK they are very much empowered and it’s very encouraging to see that. “That’s what you need to spark a market; you need people who have a voice, who have fitted well into the society, they feel part of the British identity and, very importantly, they are also Muslim,” said Mr Latif, who contributed to the latest State of the Global Islamic Economy report published by Reuters and the Dubai Government. The report, published on December 4, says that the global halal food and beverage (F&B) market is set to boom in the next five years, driven by new entrants to the market. The sector is expected to grow from US$1.24 trillion in 2016 to reach $1.93tn by 2022. F&B leads Muslim spend by category, followed by clothing and apparel at $254 billion, media and entertainment at $198bn, travel at $169bn, and pharmaceuticals and cosmetics at $83bn and $57.4bn, the report finds. Speaking at the World Halal Day event in London in November, Shelina Janmohamed, the vice president of Ogilvy Noor, the author of Generation M: Muslims Changing the World and a columnist for The National, said the internet has irrevocably changed the Muslim market and is even shaping what it means to be Muslim. “There is the emergence of the digital global Ummah [community]. The nature of Ummah has changed completely; Muslims are creating a global tribe beyond their community with local nuances,” she told an audience of British Muslim companies, analysts and investors. Ms Janmohamed elaborates on the concept of Generation M – a term for millennial Muslims coined in her latest book – by emphasising that faith and modern life go hand-in-hand for this growing consumer segment in the UK and globally. “They think faith can be supported by a modern lifestyle,” she says. Ms Janmohamed says Generation M, or Gen M, lives its faith and values through religion, charity acts, enterprise and culture. “Gen M wants to create stories as a way of countering the stories we see around terrorism,” she says. “They are not all about profit, they are concerned about core values too,” she says. As the London vice president of Ogilvy Noor, an advertising agency for Islamic branding and marketing consultancy, Ms Janmohamed is well placed to comment on Muslim branding and demand. She says that the bigger brands are starting to reach out to the Muslim audience and there is a “wave of collective Muslim consumer power”. She notes that a lot of other consumer movements are aligned with the halal sector boom, such as organic and vegan segments, which have similar values in terms of provenance and purity. “The UK has progressed faster than other countries in terms of the Islamic economy. Europe needs to catch up and partly that’s a political issue,” Ms Janmohamed says. “The potential for halal is larger than that of any other brand globally. There is a lot of tension around it at the moment. Is halal better than organic? There needs to be global consistency and that’s challenging. Romanna bint Abu Baker, a British Muslim entrepreneur and the founder of modest fashion marketplace Haute-elan.com, says the UK Muslim is also being held back by a lack of product innovation. In the halal fashion market, particularly, Ms Abu Baker laments a lack of creative thinking. “There is a lack of story and too many ‘me-too’ launches. 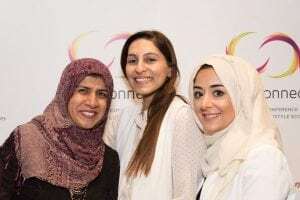 There’s a failure to address the consumer problems, we need to think harder and we need to think more creatively,” she says, referring to innovative products launched in the past, such as breathable materials for sports hijabs and magnets for “instant hijabs”. According to Mr Latif, concrete evidence of when a sector is “booming” can be witnessed in the amount of investments coming through. “The UK halal economy is more developed than others but it’s in the early stages. The best measure of this is ‘How many companies are on the stock exchange and how big are are they?’ In these terms, London is still developing,” he says. Mr Latif believes that London-grown companies have a “long runway”. “There deserves to be billion-dollar companies in the halal food industry. The question is who gets there first? There may be a little bit of a race between the UK and the US on that one,” he says.